Dino Shuffield was a happy, healthy third grader at Lake Whitney Elementary school. Then, suddenly, he began to lose his hair. 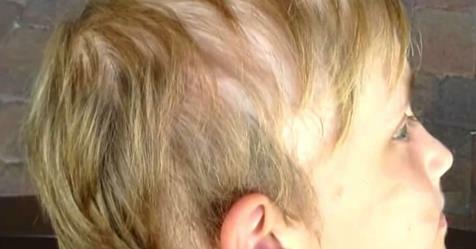 Doctors diagnosed the little boy with alopecia areata, an autoimmune condition where the body attacks the hair follicles. It was inevitable that Dino would go bald. Struggling to feel comfortable with shedding his hair, Dino’s teacher, Ehren Steiner, sat down and had a talk with him. He wondered if Dino had considered shaving his head. That’s when Steiner went above and beyond. He told Dino that Friday afternoon that if Dino decided to shave his head, he would do it, too. They agreed. Then, on Monday morning, Dino was left in complete and total shock. “My jaw dropped. I’m like, ‘He actually did it,’” Dino said. Steiner wasn’t afraid to sport his freshly shaven Q-ball in front of the whole class if it meant that he would be in solidarity with Dino. “It stinks sometimes to go through things on your own, and I think if you can have somebody to walk through things with, it makes life more enjoyable,” said Steiner. Now, that is a teacher who is willing to show his students what those lessons we learn in books look like in real life! What does Dino have to say about it all? “He’s the best teacher ever,” the ecstatic student said.